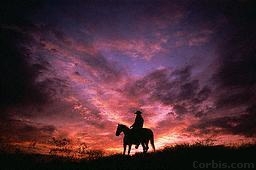 To much of the world, the legend of the American West embodies America itself. Through westerns on film and television, we are envisioned as a nation of pioneers, hard ridin’, straight shootin’ and independent. Sometimes in a white hat, sometimes black, but always a westerner. This true American art form has left it’s imprint on the world, and like the cowboy, it is unique, powerful and timeless. Through this medium, we can relive, for a while at least, the glory of the old West… the legend of a lone man riding tall in the saddle across an expansive western landscape, working and fighting to preserve the truth and a way of life known only to him and his kind. 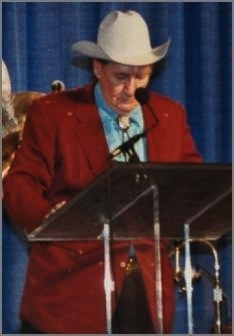 And so it was in nineteen-eighty-three, that veteran sidekick Pat Buttram conceived the notion for a special award, to be given not only to our cowboy stars, but also to the writers, directors, character actors and stunt people who have contributed so much to the development and preservation of the western tradition in film and television. From Pat’s first presentation to Bob Steele of a fancy belt buckle embellished with a golden boot, the idea has grown into the gala celebration that we enjoyed for twenty-five years. 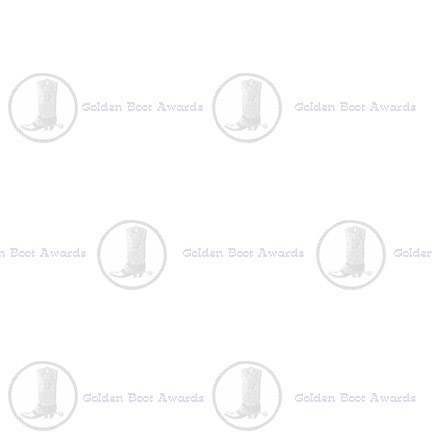 The Golden Boot Awards. From all across the country, famous names and faces gathered with their friends and fans to honor the westerners who had so indelibly became a part of the American story.